Rossi's back again, making his fourth bid for major public office. The former Washington state senator from Sammamish is on arguably easier turf this time as he seeks to succeed retiring Republican Congressman Dave Reichert in the 8th Congressional District. 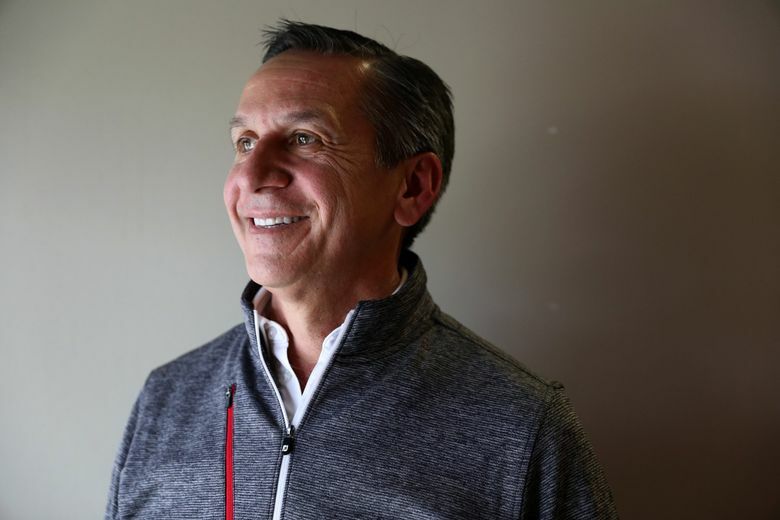 The last time Dino Rossi ran for office, Barack Obama was in the White House but Republicans had national momentum as a conservative tea-party movement arose for the 2010 midterms. That wave crested before hitting Washington state, and Rossi fell short of unseating Democratic U.S. Sen. Patty Murray. Rossi’s back again, making his fourth bid for major public office. The former state senator from Sammamish is on arguably easier turf this time as he seeks to succeed retiring Republican Congressman Dave Reichert in the 8th Congressional District, which has always been held by Republicans. But as the 2018 midterms take shape, Republicans and Democrats have in some ways flipped positions compared with 2010. Polls and special-election results show a potential blue wave brewing in congressional races as energized Democrats look to capitalize on President Donald Trump’s sagging job approval. Washington Democrats are sure to highlight Trump’s controversial behavior and the White House’s burgeoning scandals as top issues. How will Rossi respond? In an interview with The Seattle Times last week, he downplayed the Trump factor, using lines voters are likely to hear repeatedly in the coming months. Rossi said he will not spend his time reacting to the president’s frequently controversial tweets. “He’s had 2,811 tweets since he was president up to now. If I answer for one I am going to have to answer for all. I am not going to get into that spiral,” he said. That’s a different stance than the one taken by the 8th District’s incumbent, Rep. Dave Reichert, R-Auburn, who called Trump’s candidacy “a joke” and refused to endorse or vote for him. Reichert announced his retirement in September and is supporting Rossi. In the interview last week, Rossi said he voted for Trump in 2016 largely because he trusted him more than Hillary Clinton when it came to choosing Supreme Court justices. Rossi said Trump came through with the nomination of conservative Justice Neil Gorsuch. He did not name any particular U.S. Supreme Court ruling he disagreed with, but pointed to the Washington State Supreme Court’s McCleary decision, which found the state had failed to adequately fund public schools, as well as the court’s Hirst decision restricting water-well drilling, as examples of what he views as judicial overreach. Asked to name a Trump policy that he would push back on, Rossi cited the president’s recent announcement of tariffs on foreign aluminum and steel, which critics argue could spark a trade war harming U.S. companies and consumers. He said Trump’s national-security justification for the tariffs made no sense. “And so I am hoping it is more posturing … that’s how he negotiates. He wants 100 and he asks for 200 and then he gets 110 and complains,” Rossi said, adding that he does agree with the notion that international trade agreements like NAFTA need to be revised periodically to ensure they are fair. Rossi also weighed in on several other topics in the hourlong interview at his campaign headquarters, set up in an Issaquah office suite with drawn window blinds and no visible campaign signage outside. Democrats have criticized NRA spending of $400,000 in support of Rossi in his 2010 U.S. Senate run. Rossi said that was an independent expenditure over which he had no control. “I didn’t even know it happened,” he said. Rossi said he’s “willing to talk to anybody and listen to anybody that comes up with solutions that are effective and constitutional.” He said laws like a ban on bump stocks make sense, because it stops people from getting around the existing ban on machine guns. But he declined to endorse a new ban on assault weapons or high-capacity magazines. He pointed to failures of law enforcement in the Feb. 14 massacre of 17 high-school students and adults in Parkland, Florida. “How many people saw something and said something and nothing happened?” he said.